Mason Meyer, from Hickory, North Carolina, received his BS degree in Biology from Lenoir-Rhyne University in May, 2014. An avid animal lover, Mason has a small family of three cats, including two he rescued as injured feral cats. While studying biology in college, Mason also worked part-time at a Animal Hospital North and learned the basics of caring for cats, dogs, and other domestic animals. 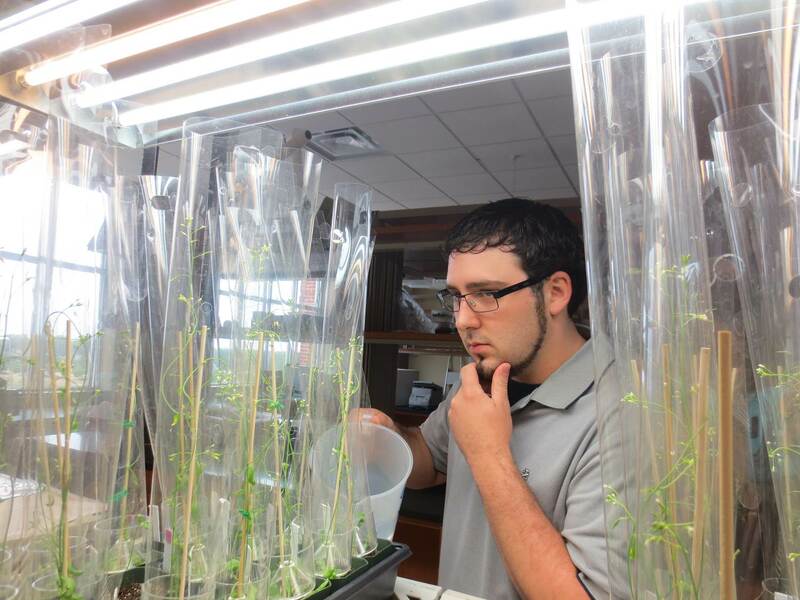 Mason first learned of the field of bioinformatics from his genetics professor at Lenoir-Rhyne in the semester before graduating. Mason, along with other classmates, helped annotate the blueberry genome. A passion for this newfound knowledge of genomes and bioinformatics led him to visit with and learn from the IGB team in Kannapolis, NC. Following graduation, Mason joined us as a summer intern and then later as lead tester for the Integrated Genome Browser project. Mason is also very passionate about music. In his spare time he enjoys listening to and playing wide ranges of musical genres including classic rock, jazz, hip-hop, and many more. You may find him unwinding in the evenings by playing guitar or winning tennis matches. Mason works part-time, from his home in Wilmington, NC.